SAN DIEGO COUNTY MENTAL HEALTH. Administrative Law Judge Deborah Myers-Cregar, Office of Administrative Hearings (OAH), State of California, heard this matter in San Marcos, California, on February 8, March 1, 2, 2011, and telephonically on March 14, 2011. Attorney Wendy Dumlao represented Student and her Parents. Attorney Lisa Macchione represented San Diego County Mental Health (SDCMH). Jane Gorman attended on behalf of SDCMH. 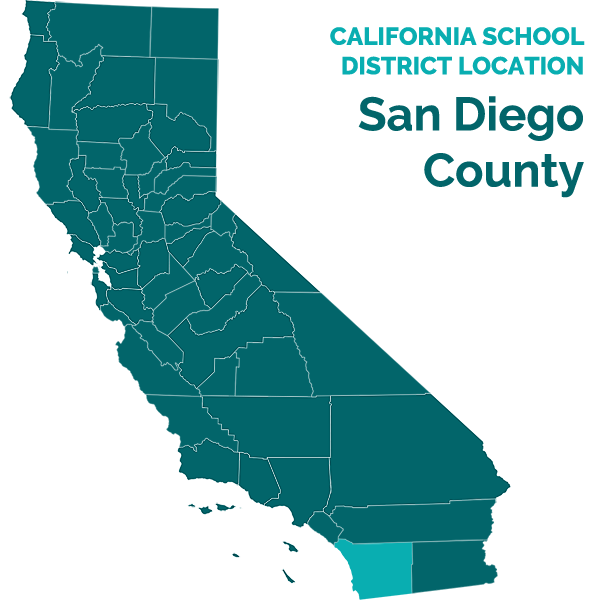 Poway Unified School District was dismissed from the complaint pursuant to a settlement agreement. Student’s First Amended Complaint was deemed filed on November 15, 2010. On December 15, 2010, the matter was continued to February 8, 2011 for good cause. On February 2, 2010, the first day of hearing was ordered to be dark, and matter was to begin on February 9, 2011. The record was held open until April 4, 2011 to allow the parties to file simultaneous closing briefs. Student’s closing brief was timely received. SDCMH did not file a brief. The record was closed and the matter was submitted on April 5, 2011. Did SDCMH deny Student a free and appropriate public education (FAPE) when it conducted its October 2008 AB 3632/2726 mental health assessment by not considering all relevant information and by not finding Student eligible for residential mental health treatment? 2. Student has a history of behavioral issues and foster home placement. At age seven, CPS placed Student in her current foster-adopt home, and her foster adopt-parents (Parents) received foster care money. She returned to a group home for a year and a half when her behavior at home escalated. At age 13, her foster-adopt parents adopted her, and they received Aid to Adoptive Parents (AAP) money from the Department of Social Services (DPSS) for her special needs. At age 15, in the summer of 2008 between Student’s eighth and ninth grade, CPS intervened when Student’s behavior escalated on several occasions that summer. Student assaulted her adoptive mother by hitting her and threatening her with knives. Parents called the police and admitted Student into children’s mental health hospitals on psychiatric holds until Student’s behavior stabilized. After the second hospitalization, in July 2008, Parents simultaneously applied for residential placement from two public agencies: SDCMH and Regional Center. 3. Regional Center, which was statutorily required to provide habilitation services, assessed Student pursuant to Welfare and Institutions Code section 4500 et. seq. Regional Center uses different criteria than SDCMH and must assess whether Student requires a community living facility, and if so, at what level of supervision. Regional Center determined that Student met its criteria, and on August 7, 2008, Regional Center made a Level 4 residential referral. 4. Dr. Kenneth Searcy, Ph.D., conducted the AB 3632/2726 mental health assessment of Student between August 8 and October 1, 2008, when he wrote his report. Dr. Searcy is a licensed psychologist working for SDCMH. He earned his Ph.D. in clinical psychology in 1983. Dr. Searcy began practicing in the field of child and adolescent psychiatry in 1977. He has worked as a psychological evaluator for SDCMH since 1988, and for Department of Social Services since 1990. 5. The purpose of Dr. Searcy’s assessment was to determine whether Student had a mental health disorder, whether the disorder impaired her education, and if so, what level of therapeutic intervention Student required. Dr. Searcy’s assessment consisted of a clinical interview with Student and her adoptive parents; a discussion with Regional Center’s psychologist and service coordinator; Student’s CPS caseworker; District’s school psychologist; Student’s special education teacher; Student’s day treatment program director; her day treatment education coordinator; staff at Aurora Behavioral Health Care (Aurora) and from UCSD Rady’s Children’s Hospital (UCSD CAPS); and a review of documents. The documents included the assessment plan Parents signed on July 25, 2008; the referral for mental health services; Student’s February 2007, February 2008 and May 30, 2008 IEPs and BSPs; District’s July 2008 cover letter to SDCMH; Student’s 2006 speech and language evaluation; Student’s 2006 triennial psychological report; Student’s inpatient hospitalization records detailed below; and Student’s transcript. 1Intellectual Disability is the new term for mild mental retardation under the IDEA. 6. Dr. Searcy interviewed Parents and Student together regarding their present concerns, the reasons for the referral, and Student’s psychiatric history. He observed their interactions, mood and affect. Parents and Student openly discussed the reason for the mental health referral. Student appeared stable, calm, cooperative and willing to participate in the assessment. She was remorseful toward her parents. The family interaction appeared more stable than the hospital records described. The family appeared friendly without conflict or hostility. Dr. Searcy noted that due to Student’s intellectual disability, she had limitations in her ability to process his questions. 7. Dr. Searcy also consulted with Student’s Regional Center’s service coordinator, and with Regional Center’s psychologist, about the family’s interest in residential placement options. Regional Center planned to attend the IEP to discuss what it could offer to Student. Dr. Searcy also spoke with Student’s CPS worker, who was investigating the adoptive Parents’ difficulty managing Student’s behavior at home. 8. Dr. Searcy noted that Student received Therapeutic Behavioral Services (TBS) from SDCMH’s Medi-Cal program for four months between August and December 2000, for two weeks between July and August 2002, for eight weeks between June and August 2004, and for three weeks between October and November 2005. TBS offers short term behavioral support in the home. 9. Dr. Searcy reviewed Student’s hospitalization and discharge records from Aurora and UCSD CAPS. He spoke with representatives from UCSD CAPS, Aurora, and her day treatment program regarding her behavioral presentation, family dynamics and interaction, and her discharge condition. 10. Student was admitted to Aurora on June 13, 2008, when her behavior was out of control. She threw a book at her mother, and the police were called. Student reported suicidal thoughts and increased anger because two of Parent’s biological grandsons had moved into the house. Upon admission, Aurora’s psychiatrists, including Dr. Anil Patel, diagnosed Student with Bipolar Disorder, Not Otherwise Specified. Although Student reported she wanted to die, she demonstrated no active intent of self-harm. During her stay, Student continued to be agitated and impulsive. Dr. Patel discontinued some of Student’s medications, prescribed a new medication, and reduced her dosage of a third medication. The psychiatrists recommended continued outpatient individual and family therapy. Student’s sleep patterns normalized, her manic symptoms improved, and her mood lability decreased. Student was discharged in stable condition with improved self control on June 20, 2008. 11. Dr. Searcy reviewed Student’s hospitalization at UCSD CAPS, which showed that Student was hospitalized 10 days after her discharge from Aurora, from June 30, 2008 to July 9, 2008. Student had an aggressive outburst at her day treatment psychiatrist’s office during her visit. The USCD CAPS psychiatrists noted the new stressors of two grandsons living in her home, her developmental delays, and her prior hospitalization in which Dr. Patel significantly altered her previous medication. The UCSD CAPS psychiatrists again diagnosed Student with Mood Disorder, Not Otherwise Specified; Oppositional Defiant Disorder, Rule Out Pre-Menstrual Dysphoric Disorder; Rule Out Reactive Attachment Disorder and Parent-Child relational problems; and Mild Mental Retardation.2 They adjusted her medication dosage, resulting in an improvement of Student’s mood and a decrease in her outbursts. The UCSD CAPS psychiatrists recommended continued therapy and psychiatric follow-up. 12. Two days after her discharge, Student was hospitalized again at UCSD CAPS from July 11 to July 14, 2008. Student was aggressive toward her adoptive mother, hit her and tried to jump in front of a moving car, two days after her earlier UCSD CAPS discharge. When she was re-admitted, she reported she did not want to live at home. UCSD CAPS staff reported that Student had called the psychiatric hold unit repeatedly to speak with another peer-patient with whom she had fallen in love. The UCSD CAPS doctors noted she repeatedly tried to make eye contact with the peer once she was readmitted. The UCSD CAPS doctors diagnosed Student with Mood Disorder, Not Otherwise Specified; Oppositional Defiance Disorder; Pervasive Developmental Disorder; Pre-Menstrual Dysphoric Disorder; rule out Learning Disorder; Parent-Child relational problems; and Mild Mental Retardation. 13. Seven days later, Student was hospitalized again at UCSD CAPS from July 21 to July 25, 2008. Student was angry at her mother, threw a telephone at her, grabbed a butcher knife and repeatedly stabbed the door to the bedroom where her mother hid. Parents called the police and Student was re-admitted. Her psychiatrists diagnosed Student again with Mood Disorder, Not Otherwise Specified; Oppositional Defiance Disorder; Pervasive Developmental Disorder; Rule out Pre-Menstrual Dysphoric Disorder; rule out Learning Disorder; Parent-Child relational problems; and Mild Mental Retardation. The psychiatrists reiterated that the two grandsons in Student’s household were recent stressors which contributed to her escalated behaviors in the home. During her admission, Student was extremely apologetic for her behavior towards her mother. The psychiatrists prescribed medication, and recommended continued therapy with her therapist and psychiatrist. 2Rule Out is a diagnostic term suggesting symptoms of a condition may exist. 14. Approximately one month later, Student was hospitalized at Aurora from August 29, 2008 until October 24, 2008. Dr. Patel placed Student on an “administrative hold.” Although she had improved in September 2008, Dr. Patel did not believe Student could return to the home setting. Dr. Searcy and Dr. Ingham were aware of the hospitalization. Dr. Searcy reviewed Aurora’s August 29 admission report, but did not have the records or discharge summaries because at the time he conducted his assessment, Student had not been discharged from Aurora. The admission report stated that Student had slammed a door on her mother’s arm, causing a bruise. Another Aurora psychiatrist noted Student’s poor impulse control and coping skills, and referred to Dr. Patel’s diagnosis of Bipolar Disorder I and Pervasive Developmental Disorder. The psychiatrist recommended continued treatment with Dr. Patel. 15. As part of his 2008 assessment, Dr. Searcy reviewed District’s February 6, 2007 and February 6, 2008, IEP and BSP for Student. Student demonstrated task avoidance and verbal disrespect which disrupted her classroom environment. The BSP provided for positive reinforcement, ignoring negative behavior, redirecting and re-teaching social skills. 16. Dr. Searcy also reviewed District’s May 30, 2008 IEP and clarifying Addendum to Student’s BSP. Student’s behaviors had escalated. In class, Student yelled out, hit desks, stomped the floor, hit walls, blocked classroom doors to prevent others from entering or leaving, and pushed desks into other students in eighth grade. Additionally, Parents reported Student’s behavior at home was escalating. The BSP discussed the factors that supported the problem behavior: Student had a high demand for attention that led to her extremely defiant behavior. She avoided tasks that were difficult when the environment was unstructured and her physical needs were not met. She was fearful and needed constant affirmation. The BSP identified replacement behaviors to be implemented, which included taking one minute breaks to return to baseline and making positive choices. The BSP specified teaching strategies, environmental supports, reinforcement procedures, reactive strategies, and communication provisions. The IEP team discussed outpatient day treatment mental health psychiatry, and provided Parents with an AB 3632/2726 referral. The parents agreed to the BSP. 17. Dr. Searcy reviewed Student’s eighth grade discipline record describing Student’s three-day suspension for profanity, defiance of authority and classroom disruption. He reviewed the May 2008 IEP team notes which discussed Student’s escalating behaviors and disruption at home and at school and identified her behaviors as serious. The IEP notes discussed that Student’s BSP was not working, and suggested that Student may require a higher level of treatment than the current day treatment she had been receiving from Medi-Cal. At the time of the IEP, Medi-Cal had been providing Student with one fifty-minute therapy session per week, but it had resulted in slow progress. Consultation with Dr. Martha Ingram, Ph.D.
18. As part of his assessment, Dr. Searcy spoke with school psychologist Dr. Martha Ingham, Ph.D., who was conducting a concurrent triennial psychological assessment of Student to determine whether Student qualified for special education services under the category of Emotional Disturbance. Dr. Ingram was licensed as a school psychologist since 1997. She had worked at Student’s school, Rancho Bernardo High School (RBHS), for six years. Dr. Ingham had previously assessed Student on November 11, 2003. Dr. Ingram testified in support of her October 2008 triennial assessment of Student and in support of the expanded IEP team decision. 19. Dr. Ingham evaluated how Student’s disruptive behavior affected her educational performance. Dr. Ingham conducted her October 2008 evaluation in the school environment. She observed peer interactions, classroom interactions, and spoke to teachers directly. Dr. Ingham administered the Wechsler Intelligence Scale for Children, Fourth Edition (WISC-IV), three Social Emotional Behavioral Assessments, interpreted the test results, reviewed supplemental developmental assessments and social assessments, reviewed Student’s Emotional Disability assessments, and reviewed Student’s past hospitalizations. Dr. Ingham determined that Student did not qualify for eligibility under the Emotional Disturbance category because Student did not exhibit the emotional characteristics which adversely affected her educational performance over a long period or to a marked degree. 20. Dr. Ingham evaluated whether Student had pervasive mood escalations, in all settings, with everyone, or whether Student had disruptions in patterns of behavior which resulted from triggers. Student’s placement had been consistently in a non-severely disabled special day class and a general education class. Dr. Ingham considered Student’s history of avoiding tasks delaying instruction, seeking attention, pushing her environment to the limits, and then having a behavioral breakdown. However, Dr. Ingham, her teachers and the administrators never felt Student’s behavior could not be managed at school. Dr. Ingham did not see Student exhibit the same behavior in ninth grade that she exhibited in the eighth grade. Student was less disruptive in her general education classes, so Dr. Ingham concluded Student’s BSP needed higher expectations. Dr. Ingham had counseled Student during ninth grade, and Student’s concerns were easily re-directed and resolvable at school. While Student did have some struggles in school, she had not moved up to a more highly structured program, and was still successful in general education almost half of her day. Student was considered successful academically. Dr. Ingham believed Student’s school placement was appropriate. 21. Dr. Ingham administered the Millon Adolescent Clinical Inventory, and the Rorschach Psychodiagnostic Test, to Student, which are valid tests for individuals with disabilities and are designed to measure behavioral, social and emotional functioning. Student’s scores demonstrated that her intellectual capacity limited her ability to adjust to changes in her environment. Student’s test data reported significant stress in the areas of abandonment and dependence. She felt precarious in her home placement, and was experiencing stress beyond her coping abilities. Student’s test results demonstrated she was fearfully dependent, socially shy and insecure and had a dysthymic or depressed mood. The data showed Student misperceived events, formed mistaken impressions of people, and did not have mental flexibility. Student demonstrated coping and adjustment difficulties which required assistance. She measured herself with others, and her self esteem was affected by her perception that she was different. 22. Dr. Ingham consulted with two other District staff psychologists to review the assessment results and confirm her findings. The psychologists concluded that Student’s behavioral difficulties were consistent with developmental delays, not with Emotional Disturbance. Student’s disruption in mood and behavior did not rise to the level of a psychotic episode. 23. Dr. Ingham considered her previous assessment of Student on November 11, 2003. Dr. Ingham had diagnosed Student with Pervasive Developmental Disorder, Not Otherwise Specified; Psychotic Disorder, Not Otherwise Specified; Borderline Intellectual Functioning, and a Global Assessment of Function (GAF) score of 45. At that time, Dr. Ingham believed that Student’s conduct and social problems were common to children with developmental delays. At hearing, Dr. Ingham explained she now believes the psychotic disorder diagnosis was better explained by Mood Disorder, based on her subsequent experience in dealing with intellectually disabled and emotionally disturbed students. 24. Dr. Ingham considered the Aurora diagnosis of Bipolar Disorder, but noted Aurora did not diagnose Student with Intellectual Disability. Dr. Ingham considered the UCSD CAPS diagnosis of Mood Disorder and Intellectual Disability. Dr. Ingham determined Student was having trouble adjusting and had a pattern of behavior that led to referrals. Dr. Ingham believed Student was testing her boundaries, which resulted in Student having the highest behavioral referrals in the least structured classes. Dr. Ingham opined that Student had externalizing concerns, not internalizing concerns, and therefore never thought Student was suicidal. In considering all the data, Dr. Ingham concluded Student did not meet eligibility requirements for Emotional Disturbance, pursuant to 34 CFR 300.8. 25. Dr. Ingham determined that Student continued to qualify for eligibility under the category of intellectual disability because Student’s full scale IQ scores of 66 on the Wechsler Intelligence Scale for Children, Fourth Edition (WISC-IV), and her adaptive skills functions placed her in the Extremely Low range of intellectual function and adaptive skills. Dr. Ingham assessed Student to be at a developmental age of six or seven years old, with a chronological age of fifteen. Dr. Ingham believed Student could continue spending 44 percent of her day in general education, the least restrictive environment, as Student was successful academically in spite of her intellectual disability. 26. After reviewing Student’s records and conducting interviews, Dr. Searcy diagnosed Student with Mood Disorder, NOS, Intellectual Disability, and a GAF score of 45, representing notable struggles in the home environment and significant difficulty functioning. At hearing, Dr. Searcy explained that he diagnosed Student with Mood Disorder because he observed a pattern in Student’s behavioral episodes. Student would become aggressive toward her adoptive mother in the home setting. Police would be called, Student would receive inpatient mental health treatment, and within four days to a week, she would stabilize emotionally and become remorseful. Because of this pattern, and the absence of a manic episode, he diagnosed Student with a Mood Disorder. While Dr. Searcy considered the diagnosis of Bipolar Disorder, he noted that Student had not manifested any clearly manic episodes. A clearly manic episode would be an inability to stop oneself from an overactive behavior over a prolonged period. The frequency and intensity would be demonstrated over a 30-day period, include 72 hours of no sleep, rapid speech and repetitive storytelling. Dr. Searcy did not see a description of that clinical behavior, and therefore believed a Mood Disorder was a better explanation. In Dr. Searcy’s opinion, Student’s symptoms appeared to be more of an irritability and aggression, than of a manic/depressive form. Dr. Searcy noted his diagnosis of Mood Disorder was also consistent with the discharge diagnosis summary of the UCSD CAPS doctors. 27. Dr. Searcy considered the supports and interventions Student received. Dr. Searcy reviewed hospitalization records to determine whether Student was out of control all the time, or whether Student became agitated and then became stable. Dr. Searcy concluded that the first hospitalization decreased her agitation and stabilized her within one week; the second hospitalization decreased her agitation and stabilized her within four days; the third hospitalization was motivated by her attraction to a male peer-patient; the subsequent hospitalizations showed the same pattern of a sudden agitation toward a family member caused by impaired judgment, reasoning and social skills interactions followed by stabilization after several days of hospitalization. Student was agitated with the parents only, not with members of the community or school. Dr. Searcy’s impression was that Student was having difficulty adapting to the grandsons in the home. Student was not accustomed to sharing attention from her caretakers. Because she had an intellectual disability, she did not have emotional flexibility. Student’s emotional and cognitive maturity is at a five or six year old level. She has an inability to deal with stress normally. She experiences moods more extremely and intensely. He assessed her GAF at 45 because she had more than one source of difficulty; she had lower areas of functioning, she had cognitive limitations, and she had a mood disorder. 28. Dr. Searcy evaluated Student’s depression, anxiety, and interpersonal relationships domains to be in the severe range. Her “risk for danger to herself” domain was in the less than slight range. Her “risk for danger to others” domain was in the moderate range. Her “security and management needs” domain was in the moderate range. Her “school” domain was in the moderate to severe range. 29. Dr. Searcy concluded that Student qualified for outpatient mental health services but not for residential treatment. 30. Dr. Searcy considered the continuum of mental health programs available for Student, ranging from the most restrictive setting, a residential program; a lesser restrictive setting, the day treatment program; and the least restrictive setting, the outpatient program. The residential program was provided to students who required 24 hours per day, seven days per week, behavior management. The day treatment program was provided to students who benefited from dividing their time equally between group therapy and academics. The outpatient program was provided to students who benefited from receiving services after school. Student’s behavioral episodes happened during the summer when she was not in school. Dr. Searcy did not recommend residential placement because school was a more structured environment and appropriate for her to make educational progress. Dr. Searcy determined that Student’s mood swings did not interfere with her education. 31. Dr. Searcy believed that Student’s intellectual disability limited her ability to progress in certain forms of therapy. Specifically, he believed that Student would not benefit from the day treatment program, because the group talk-therapy setting for 50 percent of the day was not effective for individuals with intellectual disabilities. Student also did not require 24-hour care to benefit from treatment, so he concluded the residential program was not appropriate for her. Dr. Searcy believed the outpatient program was the most appropriate program for Student, and it was also the least restrictive environment. 32. Dr. Searcy discussed his recommendations with Parents on October 6, 2008, two days before an expanded IEP team meeting, and provided them with copies of his assessment. 33. On October 8, 2008, the IEP team convened to discuss the results of Student’s assessments. The expanded IEP team consisted of Parents, Administrator MK LaBorde, Special Education teacher Sharon Golightly, Dr. Ingham, General Education teacher Cindi Gaui, Dr. Searcy, District Speech Pathologist Renee Tomkins, a UCSD CAPS Intern, and three Regional Center representatives. 35. The Regional Center representatives then advised the team that Student qualified for its residential program pursuant to the Lanterman Act, which applied different criteria than that of SDCMH when determining whether Student qualified for residential treatment. The Regional Center explained that Student’s aggression in the home had jeopardized Student’s continued placement there which resulted in CPS intervention. Based on those circumstances, Student qualified for Regional Center residential placement, and was accepted by the Fred Finch Youth Center (Fred Finch). The Fred Finch program had a residential component, a mental health component, and a non-public school component. Parents agreed with that plan, and signed the IEP. 3Student did not raise an issue of whether there was a failure to make a clear written offer, and that issue is not considered herein. 36. On October 24, 2008, Student was placed in Fred Finch residential treatment center. She remained there for 13 months, made educational and therapeutic progress, and then returned home in November 2009. 37. The Fred Finch residential program was funded entirely by three public sources: Regional Center, Student’s Department of Social Services Adoption Assistance Program (DSS-AAP) funds, and Medi-Cal. Parents voluntarily assigned the AAP funds they received for Student’s adoptive placement to Fred Finch for the duration of Student’s placement. At hearing, Parents explained that if SDCMH had funded Fred Finch instead, Parents would have received $627.00 per month in AAP funds for the 13 months even during Student’s absence from the home. Parents could have used Student’s AAP money to pay their mortgage, as they traditionally had done with the AAP funds. Parents presented no evidence that Student lost any educational benefit as a result of the SDCMH recommendation. 38. Dr. Anil Patel was Student’s treating psychiatrist at Aurora in 2006 and 2008, and provided her with outpatient counseling at Palomar Family Counseling. He testified in support of his diagnosis of Bipolar Disorder, as a board certified child and adolescent psychiatrist with 18 years experience. Dr. Patel explained there are no standardized tests for evaluating mental health. Rather, interviews and rating scales are used as diagnostic tools. 39. Dr. Patel explained that he diagnosed Student with Bipolar Disorder, Type I – Mixed. He based his diagnosis on the repeated hospitalizations and symptoms exhibited in the hospital and reported by Parents. Dr. Patel observed Student’s dramatic mood fluctuations, which occurred daily, even during his evaluation. However, he had not seen her exhibit classic manic symptoms. Dr. Patel opined that Student missed social cues, which led to extreme social interactions which required staff involvement to maintain safe behavior. Her intellectual disability severely impaired her adaptive function. His main concern was her aggression toward Parents. 40. At hearing, Dr. Patel reviewed Dr. Searcy’s mental health assessment, and agreed that Dr. Searcy’s assessment reflected an accurate description of Student’s symptoms. Dr. Patel opined that Dr. Searcy administered all the assessment instruments appropriate for a mental health assessment, and noted that nothing was missing from the protocols. Dr. Patel explained that Dr. Searcy did not diagnose depression, but conceded that Dr. Searcy did address Student’s broader range of behaviors within that category, including her negative self talk and negative attention seeking. 41. Dr. Patel felt uncomfortable stating whether Dr. Searcy’s assessment and recommendation were appropriate or not because Dr. Patel was unfamiliar with the context or the setting at school. Dr. Patel acknowledged that an Emotional Disturbance designation involved behaviors that affected a student’s ability to learn in the school environment. He also acknowledged that adolescents could require residential care for reasons unrelated to educational purposes. Dr. Patel did not feel comfortable opining whether the recommendation of non-residential services and placement at RBHS was appropriate. He also felt uncomfortable opining whether a residential educational placement was required. Dr. Patel did not testify that the mental health assessment was inappropriate or that Dr. Searcy’s recommendation was wrong. 42. Dr. Patel cautioned that his experience was limited to hospital and clinical child and adolescent psychiatry and medication management. Dr. Patel was familiar with Student’s behavioral outbursts in her home setting. He opined that adolescents can do well in certain structured environments, and are more likely to act out in safer environments such as home. Dr. Patel did not think Student would be successful returning to the home setting in September 2008, which is why he placed her on “administrative hold” to keep her longer, although she had improved. Her response to medication was not working and she had breakthrough unresponsive to medical intervention. 43. Dr. Patel never observed Student at school and was not familiar with Student’s behaviors at school. He was not certain whether Student had exhibited aggressive behaviors at school, but he would have expected her to demonstrate them in many settings. Dr. Patel believed Student required a structured environment, and believed that school was a more structured environment than home. Dr. Patel did not know how Student was performing in school in 2008. He would not opine as to whether Student could have been educationally placed at RBHS. Dr. Patel was not familiar with the educational program Student would have been provided at RBHS, and would have to consider a number of factors such as the student-teacher ratio. 1. Parents contend that the SDCMH’s mental health assessment was not appropriate because the assessor did not consider all relevant information when he made his recommendations to the IEP team that Student was eligible for out patient mental health services but not for residential placement. Parents also contend that the AB 3632/2726 assessment denied FAPE because the recommendation of outpatient therapy was not appropriate. Parents contend that the fact that Student improved while at Fred Finch means she needed the placement, and that it would have been appropriate. 2. Student does not seek compensatory education, but alleges that the denial of FAPE resulted in the residential placement not being “free” to the parents. When SDCMH did not fund the residential placement, three other public agencies funded the placement based on their criteria: the San Diego Regional Center, Medi-Cal, and Student’s DSS-AAP funds. Parents assigned Student’s DSS-AAP funds to Fred Finch residential placement when Student began living there. Parents were not able to pay their mortgage with AAP funds during Student’s residence at Fred Finch. Student contends that SDCMH should reimburse her adoptive parents for the AAP funds that they assigned to the residential placement during her stay. 3. Student does not allege the assessment impeded her right to a FAPE, significantly impeded Parents’ opportunity to participate in the decision-making process, or caused a deprivation of educational rights. Parents do not dispute they received proper notice of their assessment rights. Student similarly does not dispute that SDCMH complied with procedural safeguards. 4. SDCMH contends that its assessment was appropriate, that the IEP team did not change Student’s eligibility to Emotional Disturbance, and that Student did not require residential treatment, the most restrictive setting, in order the access her educational program and meet the requirements of the Individuals with Disability Education Act (IDEA). SDCMH further contends that OAH has no jurisdiction over other public agencies which are not subject to the IDEA and not joined as essential parties to this case. SDCMH argues that Parents cannot unjustly profit from the reimbursement of public funds when Student’s residential placement was provided to them at no cost, the assessment was appropriate, and there was no loss of educational benefit. 5. As discussed below, Student has not met her burden of proving by a preponderance of the evidence that the assessment was not appropriate. 16. When an assessment is conducted which determines a child has an Emotional Disturbance, as defined by 34 CFR title 34 Section 300.8(c)(4)(i)(2007) and California Code of Regulations, title 5, §3030, subd. (i), and any member of the team recommends residential placement based on relevant assessment information, then the IEP team shall be expanded to include a representative from county mental health. 18. If the child has qualified for related services under the category of Emotional Disturbance, then the expanded IEP team shall review the assessment and determine whether: 1) the child’s needs can reasonably be met through any combination of nonresidential services preventing the need for out-of-home care; 2) residential care is necessary for the child to benefit from educational services; or 3) residential services are available that address the needs identified in the assessment and that will ameliorate the conditions leading to the seriously emotionally disturbed designation. 21. Here, SDCMH demonstrated by a preponderance of the evidence that it properly conducted the mental health assessment. The assessment had been requested by Parents because of a concern that Student required related mental health services at the level of residential placement. Parents were provided with an assessment plan in their native language that described the nature of the assessment and Student’s language abilities. The assessment was conducted by a qualified licensed psychologist and mental health assessor from SDCMH who was familiar with intellectual disabilities and mental health issues. Student was assessed using a variety of assessment instruments, ranging from record review, hospitalization review, interviews, standardized tests, and clinical observation. The assessment instruments were technically sound for assessing cognitive, behavioral, physical and academic factors. The assessment instruments were appropriate and valid to determine the level of Student’s need for mental health services. The assessment was not racially or culturally biased, because it consisted primarily of interviews and observation, coupled with a review of recent hospitalizations. The assessment and testing was based upon information known at the time. 22. The mental health assessment resulted in a comprehensive written report that included all observations, assessment results, consideration of Student’s behavioral function at school, and a reasoned recommendation that Student did not require residential treatment to access her education. Dr. Searcy discussed his recommendation with Parents two days prior to the expanded IEP meeting. The expanded IEP team included all necessary members. The expanded IEP team documented the alternatives to residential placement it considered and the reasons why they were rejected. Both Dr. Searcy and Dr. Ingham diagnosed Student with Mood Disorder based on her reaction to stressors in her home, not Bipolar disorder, which is a psychotic disorder. Dr. Searcy’s assessments reviewed Student’s hospitalizations and the diagnosis of Mood Disorder and Bipolar Disorder. Dr. Searcy’s assessment determined that the UCSD CAPS diagnosis of Mood Disorder fit Student better than the Aurora diagnosis of Bipolar Disorder. The UCSD CAPS diagnosis took into account Student’s co-morbid diagnosis of Intellectual Disability, whereas the Aurora diagnosis did not. Both Dr. Searcy and Dr. Ingham were required to consider Student’s cognitive function to determine if she was at a level sufficient to enable her to benefit from mental health services. They both concluded that Student’s cognitive capacity was low and she would not be able to benefit from the interactive group therapy format of residential placement. Dr. Ingham assessed Student in the school setting, and determined Student did not meet the criteria for Emotional Disturbance, and could still be educated in her current educational setting of almost 50 percent general education, with related services in the form of outpatient therapy. Because Student was not eligible for special education under the criteria of Emotional Disturbance, SDCMH could not have placed Student residentially, even if it had concluded that Student required residential treatment. 23. Student contended that because she improved at Fred Finch, the mental health assessment was not properly conducted. However, the “snapshot rule” looks to what information is known at the time, not what happens after the assessment. The evidence established that the mental health assessment was based upon information available to Dr. Searcy at the time of the assessment. His records review and interviews were thorough. Regional Center, an expanded IEP team member, placed Student in a residential facility pursuant to its statutory duty to provide consumers of its regional center with habilitation services, pursuant to the Lanterman Act. The fact that an agency other than SDCMH placed Student residentially under different criteria does not mean the placement was also educationally appropriate. Although Parents disagreed with the SDCMH recommendation at the IEP meeting, they consented to the implementation of Regional Center funding Student’s residential placement, and signed the IEP. Parents voluntarily assigned their AAP funds to Fred Finch. Student did not meet the SDCMH criteria for residential placement, because she did not have an IEP identifying her as eligible with an Emotional Disturbance, and did not have a mental health assessment identifying her as eligible for related mental health services that required services at the level of residential placement. The mental health assessor and the IEP team determined that Student could continue to be educated in the least restrictive setting, almost 50 percent general education, with additional outpatient therapy. Dr. Searcy’s assessment recommendations were supported by the evidence and were appropriate. SDCMH’s assessment was appropriate. Parents are not entitled to the requested relief. Pursuant to Education Code section 56507, subdivision (d), the hearing decision must indicate the extent to which each party has prevailed on each issue heard and decided. Here, SDCMH was the prevailing party on the sole issue presented.